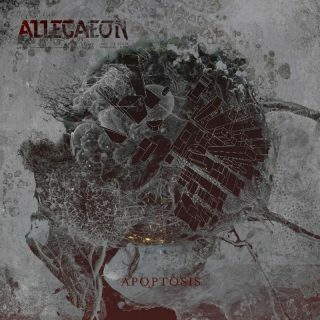 Allegaeon : Apoptosis album download | Has it Leaked? Playing a melodic, yet technical style of death metal, very similar in sound to Arch Enemy and Arsis, Allegaeon rose in popularity fairly quick, after the release of their self-titled debut EP in 2008, and their debut full-length album "Fragments of Form and Function" in 2010. Now, ten years later, Allegaeon are ready to release their fifth full-length album, titled "Apoptosis"... which is tentatively slated for an October release.